This article analyzes how Big Data is changing the way we learn from observations. 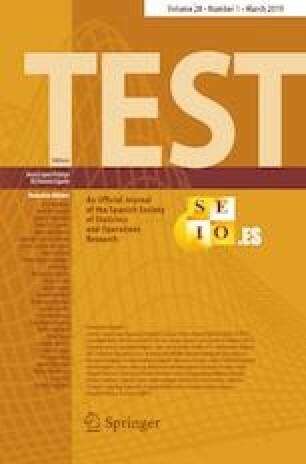 We describe the changes in statistical methods in seven areas that have been shaped by the Big Data-rich environment: the emergence of new sources of information; visualization in high dimensions; multiple testing problems; analysis of heterogeneity; automatic model selection; estimation methods for sparse models; and merging network information with statistical models. Next, we compare the statistical approach with those in computer science and machine learning and argue that the convergence of different methodologies for data analysis will be the core of the new field of data science. Then, we present two examples of Big Data analysis in which several new tools discussed previously are applied, as using network information or combining different sources of data. Finally, the article concludes with some final remarks. This invited paper is discussed in comments available at: https://doi.org/10.1007/s11749-019-00639-5, https://doi.org/10.1007/s11749-019-00640-y, https://doi.org/10.1007/s11749-019-00641-x, https://doi.org/10.1007/s11749-019-00642-w, https://doi.org/10.1007/s11749-019-00643-9, https://doi.org/10.1007/s11749-019-00644-8, and https://doi.org/10.1007/s11749-019-00646-6, https://doi.org/10.1007/s11749-019-00647-5, https://doi.org/10.1007/s11749-019-00648-4. The invitation to write this article came from the editor Jesús López-Fidalgo and we are very grateful to him for his encouragement. The applications presented in this paper were carried out with Federico Liberatore, Lara Quijano-Sánchez and Carlo Sguera, post-docs at the UC3M-BS Institute of Financial Big Data. Iván Blanco and Jose Luis Torrecilla, also post-docs in the Institute, have also contributed with useful discussions. The ideas in this article have been clarified with the comments of Andrés Alonso, Anibal Figueiras, Rosa Lillo, Juan Romo and Rubén Zamar. To all them, our gratitude.